After the shutter reaches its end of stroke, two latches come out automatically in order to reach the escutcheons inside the guides. This doesn’t allow the lifting of the rolling shutter from the bottom as the end slat touches the doorstep either the shutter is completely closed or partially open. The simple circuit ,which connects the motor of the rolling shutter to the lock and the electronic board which handles both elements, ensures the reliability of the system. 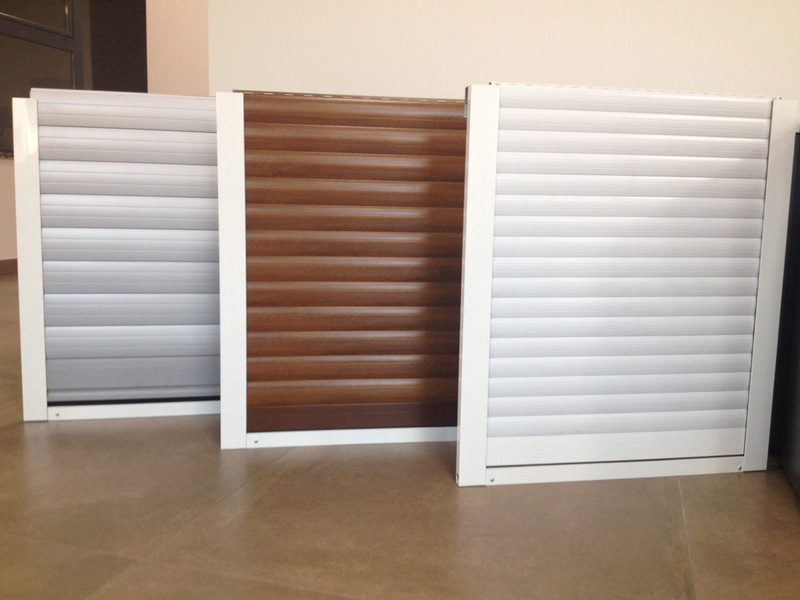 AUTOLOCK, patent pending, is fully new in the national and international landscape for making rolling shutters safe. Innovative, automatic and safe: AUTOLOCK is a perfect mix of these three aspects. The motorized lock for rolling shutters which was missing in the market. This is our new profile in our range of extruded profiles: CLEAR62, 14*61 mm extruded profile which is available both blind as well as with holes. CLEAR62 is a perfect mix between the solidity of an extruded profile and the possibility to have light thanks to its holes 20*150mm (protected by transparent glass). Ask now for your SIPAR shutter sample: you will show nice foamed or extruded shutters to you clients!